Link to Video of sermon on YouTube here. May the words of my mouth, and the meditations of all our hearts, be acceptable in your sight Oh Lord – our Rock and our Redeemer. 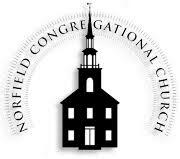 Good morning, and welcome to Martin Luther King Sunday at Norfield Church. What an auspicious day to be speaking, to salute the work and life of Dr. King in song and scripture, and to introduce our ministry to this wonderful congregation in the town in which we live. My name is Jeff Grant. The title of today’s sermon is, “Authentic.” And I’ve received a lot of lessons in being “authentic.” That is, lessons not in talking about authenticity, but lessons living an authentic life, and speaking from an authentic place. Over the next fifteen minutes or so, I am going to do my very best to be authentic. I’m going tell you the story of a how I was transformed from being a successful New York corporate attorney, to becoming addicted to prescription painkillers, to surviving almost fourteen months in a Federal prison, to receiving my Master of Divinity from Union Theological Seminary in the City of New York, to becoming an inner city minister in Bridgeport, to founding, with my wife Lynn, a prison ministry that supports the families of white collar and nonviolent criminals and their families. I have an admission to make up front – I am a very flawed guy. I have a lot of other issues that often prevent me from living and working a full day without collapsing. I suffer from bipolar depression. I have diabetes and kidney problems. I have communication problems with my kids. And I’m old. Perhaps you can relate to one or more of these issues? Let’s start first with the issues I had in writing today’s sermon for Martin Luther King Day. When I first was asked to preach on this particular day, I had lots of ideas. I picked out special scriptures to interpret. I researched deep into the life and ministry of Martin Luther King. Lynn and I even went to see the new movie “Selma,” about Dr. King – (a great movie, by the way). I tried to do all these things, but frankly nothing authentic was coming. I was feeling dejected. And then, last Sunday we attended church here at Norfield, and in his sermon, Reverend Bernard reminded me that “God Loves Me Just As I Am.” And in the coffee hour after church, our great friend Jim Hodel came over to me and told me that, when I preach next week, he can’t wait to hear MY STORY. MY STORY, of course! MY STORY is why I was asked to speak here today. MY STORY what has gotten me this far. And in order to preach on Martin Luther King Day, or any day, all I have to do is be authentic, and trust you with the story of Who I Am and Why I Care. In so doing, hope and pray that, by fully my revealing MY STORY to you, in some small way it helps you to have the courage and agency to reveal your own authentic story own too. MY STORY began when I suffered a sports injury in 1992. I was a young, successful corporate and real estate lawyer with all the trappings – big house in Westchester County, NY, BMW, and vacations to the Caribbean. You get the picture? Anyway, I was playing basketball with my biggest client when lightning struck and I ruptured my Achilles tendon. And in the course of the rehabilitation from that injury I got hooked on painkillers. I never meant for it to happen – but it did and for over ten years I took them almost every day of my life. The problem with taking pain killers – at least for me – was that it was insidious. Day after day, little by little, they cut away at my soul, ate away at my judgment. If I had had the ability to pull back and look at my life from a distance and see it in five or ten year slice, I probably could have seen how different everything looked over these different time periods. The compromises I was making. The physical changes. The mood and behavior issues. The money problems. It probably would have been obvious. But I couldn’t do that – instead, day-by-day the cumulative effect was imperceptible. I had no way of understanding that I was self-medicating my undiagnosed bipolar disorder. I was miserable – my weight had ballooned to 285 pounds – I was vomiting up blood from anxiety. I was spending way more money than I was making. I was taking more and more painkillers. I stopped showing up for client meetings. The law firm was spinning out of control. One day my office manager came to me and told me that we had a problem. She told me that we weren’t going to make payroll that week. How could that be possible? I had been in business as a lawyer almost twenty years – and despite all the problems, all the madness, the business had grown to become one of the most successful law practices in Westchester County – something I still have no explanation for. But we were out of cash – I could have done a lot of reasonable things. I could have called a friend. I could have called the bank. But my mind was reeling, and the drugs wouldn’t let me focus. And that’s when I made my deal with the devil. I told her to borrow the money from the firm’s client escrow account. She asked me if I was sure that’s what I wanted to do, and I told her to do it. And with two keystrokes of a computer, my fate was sealed. I wound up borrowing and replacing client escrow funds a few more times – but the damage was really done the first time. As these things go, soon there would be a grievance against me that started out over something small – but my client escrow records would be subpoenaed and I would start a three-year battle to retain my law license. To defend the indefensible. Racked with shame and guilt, my pain killer use escalated and I got really out of control. On Sept. 11th, when I saw the plane hit the second tower, I went into sheer madness. It was as if the world stopped spinning. I couldn’t think and I couldn’t work – I started to lose clients and staff. I was in a pit of denial and was looking for my way out. There were commercials on TV and the radio for small business loans for businesses that had been adversely affected by the tragedy – I called and described my problem. They told me that I qualified for a 9/11 loan. But even having qualified, I was just too desperate and stoned – and I embellished my loan application to make sure I got the loan. In a few weeks I did get the loan and I thought I was on track to save my law firm. But it didn’t help – within a few very short months all the evidence had mounted and it became clear that I was going to lose my grievance case and was going to be disbarred from practicing law. One day in July 2002 I had enough – I had no more fight left in me. I just couldn’t take it anymore. I called my ethics attorney and told him to throw in the towel and resign my law license. That night, after my wife and kids went to sleep, I sat down in the big easy chair of the den in our house in Westchester, and tried to kill myself. I swallowed an entire bottle of painkillers. I just wanted the pain and the madness to stop. I woke up a few days later in the Acute Care Unit of Silver Hill Hospital in New Canaan, CT and there was no way of knowing then that instead of my life ending, that my new life had begun. I made it through seven weeks of rehab and started the long arduous but incredible journey of a road back to life through recovery. I went to my first recovery meeting on my first night out of Silver Hill Hospital – and at that meeting I did exactly what I was instructed to do. I raised my hand and said, My name is Jeff, I’m an alcoholic and I need a sponsor. I met my first sponsor at my very recovery meeting, and have attended almost 9000 meetings since then and have never again touched another drink or a drug. I am very proud to say that on August 10th of this year, God willing, I will celebrate my 13th sobriety anniversary. But, of course, we already know that there was more to my story. I did what any “sane person” would do with no money and no job – I moved my family to Greenwich, Connecticut – perhaps the wealthiest community in the country. There I became a very involved member in recovery, and took on a lot of responsibilities and commitments. After all, recovery had saved my life. Over the first year or two, with so much wreckage to take care of – I had lost my career, my money, I lost our home in foreclosure, my marriage was in shambles. But recovery was my bedrock – I was staying sober. One morning, when I had about 20 months of sobriety, I received a call from the FBI. The agent on the phone told me that there was a warrant out for my arrest in connection with my fraudulent statements on the 9/11 loan. It had been four years, I was now sober almost two years – and I couldn’t believe that anybody was looking at that loan. But one of the gifts was that I was able to face this as a sober man, and be there for my family, for my community and for myself sober. I was sentenced to eighteen months in Federal prison. For those of you who don’t know how the designation process works in the Federal prison system, basically on the day your name comes up you are designated by your security level – lowest to highest. I had a security level of “zero” – so I could have been designated to a camp anywhere within 500 miles of our home in Connecticut. But on the day I was designated there were no beds in camps in this area – so I was designated to a Low Security Prison. And that’s where I went. On Easter Sunday, 2006, I reported to Allenwood Low Security Corrections Institution in White Deer, Pennsylvania. And soon found out inside that there was one former lawyer – that would be me – two former doctors, five former stockbrokers, and 1500 drug dealers. This was real prison and would be home for the next thirteen and a half months. I was released from prison in 2007 and had to do a stint in a halfway house in Hartford, home detention and then three years of Federal probation. I also had court ordered drug and alcohol counseling. It was my counselor – a former Catholic Priest turned drug counselor- who recommended to me that I rebuild my life through volunteerism. I called my old rehab, Silver Hill Hospital, and asked them if I could come interview for a volunteer position – they told me to come over that day. We sat and talked for almost two hours, and importantly, I fully disclosed everything that that happened in the past few years. They asked me to fill out an application and told me that they were going to do a background check – I was nervous. I figured that if my own rehab wouldn’t take me for a volunteer job, who in the world would ever let me work for them? I didn’t have to wait long. Two hours later my phone rang and I was a recovery volunteer for Silver Hill Hospital. This led me next to becoming a volunteer house manager at Liberation House in Stamford, CT, and then to Family Reentry, a nonprofit serving the ex-offender communities in Bridgeport and New Haven, CT. This was the first organization that asked me to serve on its Board of Directors. My first project was with my then girlfriend Lynn – now my wife. We worked with Family Reentry ex-offenders of and converted a blighted inner city block in Bridgeport into the largest privately owned public use park and garden in the State of Connecticut. It is an oasis and completely revitalized that neighborhood. All this time we were living in Greenwich and attending recovery meetings – and I became known as the “prison guy.” I was sharing about going to prison, surviving prison, and staying sober through the entire experience. Soon hedge fund guys and others who had white-collar legal problems were seeking me out. Over those ten years, I must have met with and counseled over one hundred guys in various stages of going to or coming back from prison. It was an eye opening experience and I had no idea that it was going to turn into a ministry. I was just putting one foot ahead of another. I went to a Reverend at the church that we were attending in Greenwich, and told him that I was searching for something more meaningful. He recommended that I apply to Union Theological Seminary in New York City. I told him that I thought that was a little crazy – for one thing, I’m a Jew. Next, with my story, how would I ever get accepted to the preeminent urban seminary in the world? But, he told me that seminaries are in the redemption business – and that I should apply. And I did. I was accepted to Union Theological Seminary and went to school there for three years. In April 2011, I was baptized with water brought back by a friend from the River Jordan. In May 2012 I earned a Master of Divinity from Union Theological Seminary with a Focus in Christian Social Ethics. A few months later, while still working with white-collar families in Greenwich and doing reentry work in Bridgeport, I accepted an offer from The First Baptist Church of Bridgeport for Lynn and I to start a prison ministry at the church. You have no idea how blessed we felt to have come from where we came from, and to have a life of service in a community where we could really make a difference. And where they could make a profound difference in us. I started to blog about the experience of working in the hood during in the day, and with white-collars in the evening – when lightning struck again. I received a call from a reporter at a Hedge Fund Magazine who had read my blog – he asked me if I was the “Minister to Hedge Fund Guys?” He asked if I would do an interview. And I told him that I would on one condition: that the story is about the creation of new form of ministry – An Authentic Ministry – that offers a safe space to people from our communities suffering in silence, to share their stories and find support. It is from this place of authenticity, we can bring together suffering people from affluent and inner city communities, to communicate authentically with each other, and learn from each other. What resulted was a sensitive and powerful interview that caught the attention of a lot of people. The Progressive Prison Project and the Innocent Spouse & Children Project are the first ministries in the United States created to support the families of people accused or convicted of white collar and other nonviolent crimes. These families are everywhere around us – they are in our own town of Weston – suffering in silence. They receive so little compassion and empathy – and are so easy to “other” – by a world that is all too eager to believe the next sensationalized headline and to ignore the human side. Since then, so many incredible things have happened in our journey. Among them, I was invited to join the Board of Directors of Community Partners in Action, in Hartford, CT. I was asked to join the Editorial Board of the new book, The Justice Imperative, about the state of criminal justice here in Connecticut and in our country. And we moved from Greenwich to our new home in this lovely town of Weston and started to regularly attend this wonderful church. Lynn and I now split our time doing inner city prison ministry, and ministering to white-collar people and families. The wives and children are innocents of situations not of their own doing, in situations where they have often not been independently represented, in which husbands and fathers have gone to prison often leaving them penniless, homeless, shunned by their communities. For these mothers and children, we have assembled teams of ministers, advocates, lawyers, counselors and other professionals to protect them and get them safely through to a new life in a new family dynamic on the other side of prison. As I see it, the biggest tragedy of all about white-collar and nonviolent crime is not how big the matter is, or sensationalized the headlines – it is in our failure to see it as an authentic human story, with real people, real brokenness, and real families left behind. Thank you for this opportunity to be authentic, and share with you My Story. May God Bless You and Keep You Always.